The mq_receive() system call receives oldest of the highest priority message(s) from the message queue specified by mqdes. If the size of the buffer in bytes, specified by the msg_len argument, is less than the mq_msgsize attribute of the message queue, the system call will fail and return an error. Otherwise, the selected message will be removed from the queue and copied to the buffer pointed to by the msg_ptr argument. If the argument msg_prio is not NULL, the priority of the selected message will be stored in the location referenced by msg_prio. If the specified message queue is empty and O_NONBLOCK is not set in the message queue description associated with mqdes, mq_receive() will block until a message is enqueued on the message queue or until mq_receive() is interrupted by a signal. If more than one thread is waiting to receive a message when a message arrives at an empty queue and the Priority Scheduling option is supported, then the thread of highest priority that has been waiting the longest will be selected to receive the message. Otherwise, it is unspecified which waiting thread receives the message. If the specified message queue is empty and O_NONBLOCK is set in the message queue description associated with mqdes, no message will be removed from the queue, and mq_receive() will return an error. The mq_timedreceive() system call will receive the oldest of the highest priority messages from the message queue specified by mqdes as described for the mq_receive() system call. However, if O_NONBLOCK was not specified when the message queue was opened via the mq_open() system call, and no message exists on the queue to satisfy the receive, the wait for such a message will be terminated when the specified timeout expires. If O_NONBLOCK is set, this system call is equivalent to mq_receive(). The timeout expires when the absolute time specified by abs_timeout passes, as measured by the clock on which timeouts are based (that is, when the value of that clock equals or exceeds abs_timeout), or if the absolute time specified by abs_timeout has already been passed at the time of the call. The timeout is based on the CLOCK_REALTIME clock. Upon successful completion, the mq_receive() and mq_timedreceive() system calls return the length of the selected message in bytes and the message is removed from the queue. Otherwise, no message is removed from the queue, the system call returns a value of -1, and the global variable errno is set to indicate the error. O_NONBLOCK flag is set in the message queue description associated with mqdes, and the specified message queue is empty. The mqdes argument is not a valid message queue descriptor open for reading. The specified message buffer size, msg_len, is less than the message size attribute of the message queue. The mq_receive() or mq_timedreceive() operation was interrupted by a signal. The process or thread would have blocked, and the abs_timeout parameter specified a nanoseconds field value less than zero or greater than or equal to 1000 million. The O_NONBLOCK flag was not set when the message queue was opened, but no message arrived on the queue before the specified timeout expired. The mq_receive() and mq_timedreceive() system calls conform to IEEE Std 1003.1-2004 ("POSIX.1"). Support for POSIX message queues first appeared in FreeBSD 7.0 . Portions of this text are reprinted and reproduced in electronic form from IEEE Std 1003.1, 2004 Edition, Standard for Information Technology -- Portable Operating System Interface (POSIX), The Open Group Base Specifications Issue 6, Copyright (C) 2001-2004 by the Institute of Electrical and Electronics Engineers, Inc and The Open Group. In the event of any discrepancy between this version and the original IEEE and The Open Group Standard, the original IEEE and The Open Group Standard is the referee document. 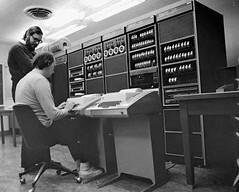 The original Standard can be obtained online at http://www.opengroup.org/unix/online.html.